Your morning flight got delayed due to weather. With a connecting flight and some issues with your luggage, you get into BNA just in time to hit rush hour traffic while trying to get to your hotel. Add to that the 40-minute wait at the rental car desk before you hit the road and you have a recipe for chaos and a stress-filled evening. However, this does not have to set the tone for your visit to Nashville. Instead, hire a reliable & cheap limo service with experienced drivers who will meet you on time no matter when your flight gets in. This cuts down on the issues with traffic and eliminates your stress at the car rental desk altogether. For visiting businessmen or women, the travel through the city can eat up a significant portion of your day, interfering with meetings or preventing efficient handling of the matters at hand. Choosing our BNA Airport Transportation can help increase your efficiency and drop your stress level immediately. BNA Airport Car Service is not always an easy thing to procure. 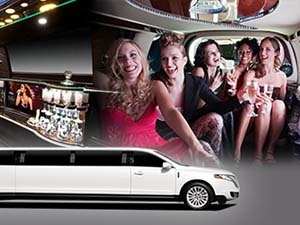 We are available for advance booking or last minute transportation arrangements. We understand you might need us, and we will be there if you do. Public transportation in Nashville, TN can leave something to be desired. If you are juggling your briefcase and laptop and trying to make sure you jot down the ideas that were generated in your meeting before you get to the next one, it is very beneficial to have someone else to open the door for you, get you settled and navigate the traffic while your mind is lost in the meeting you just left. We, BNA Airport Shuttle Transportation offer service for BNA airport transfers, as well as the many trips you must make between offices or venues for various meetings throughout the day. Leave the city driving to us and enjoy your transit within a premium ATL airport transportation. Call us 800-942-6281 today!